These spooky-looking mushrooms usually grow in dark damp places, and perhaps partly for this reason they are not often recorded. A very rare find in central and southern England and Wales, this species is also recorded occasionally in other central and southern European countries including Germany, Holland and France. 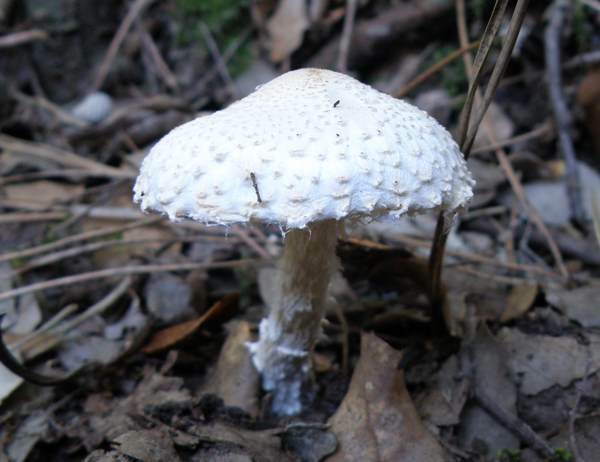 I have seen this powdercap mushroom as far south as Monchique, in the Algarve region of southern Portugal (picture below). 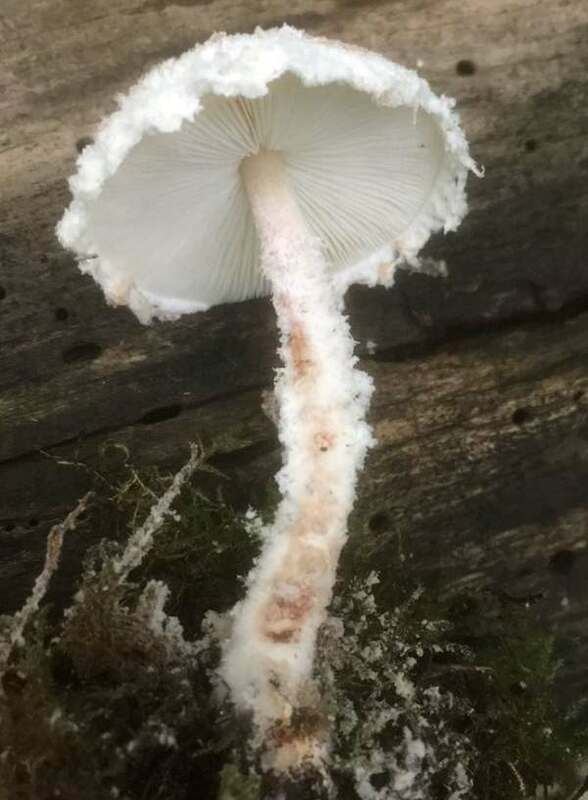 When Dutch mycologist Hendrik Sijbert Cornelis Huijsman (1900 - 1986) described this species in 1960 he gave it the scientific name Lepiota pulverulenta. 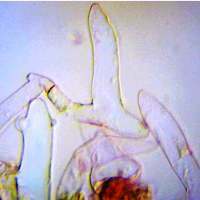 The currently-accepted scientific name Cystolepiota pulverulenta dates from a 1992 publication by American mycologist Else Vellinga. 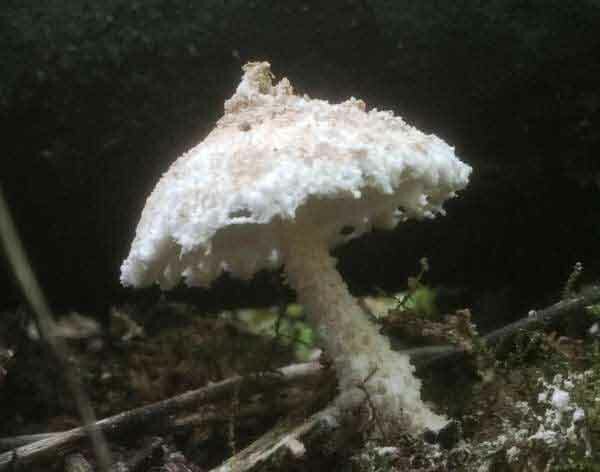 Synonyms of Cystolepiota pulverulenta include Lepiota pulverulenta Huijsman, Leucoagaricus pulverulentus (Huijsman) Bon, and Pulverolepiota pulverulenta (Huijsman) Bon. The prefix Cysto- means blistered and lepiota comes from Greek words lepis-, meaning scale, and -ot, meaning ear. 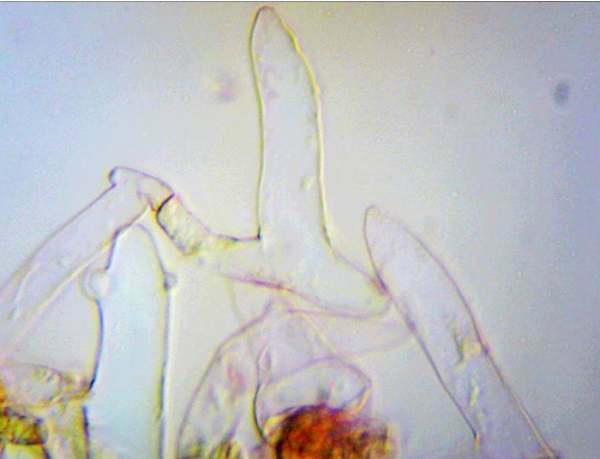 Blistered scaly- ear fungus is an interpretation, therefore, of the genus name Cystolepiota. The specific epithet pulverulenta is a Latin adjective meaning powdery or dusty (or, if we wanted to be really obscure, we could opt for the little-use English adjective pulverulent). This is indeed a dusty-looking blistery-scaled mushroom! 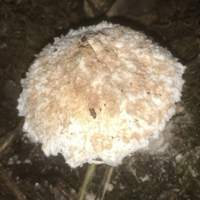 1.5 to 3.5cm across; campanulate or convex with an umbo, not fully flattening; white to yellowish, becoming browner with age, densely covered in large, irregular woolly scales; turning reddish when handled. 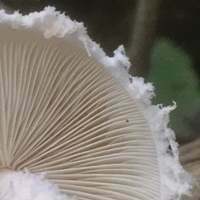 Woolly vellar scales overhang the cap margin. 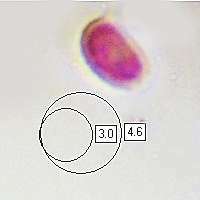 4 to 6cm long and 2 to 5mm diameter with a basal bulb; white, covered in fluffy vellar scales (small scales near apex; larger scales below), bruising reddish. 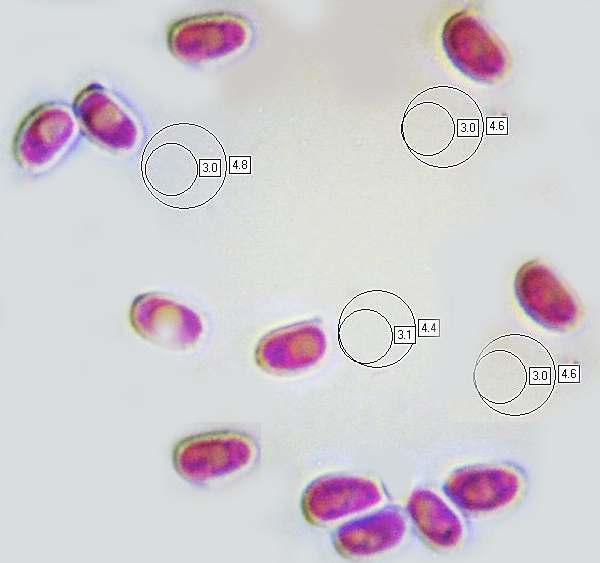 The structure of the fluffy cap scales is a helpful diagnostic feature. Ellipsoidal, smooth or very slightly rough, 4-5 x 2-3μm. Saprobic, singly or in small groups, on (usually calcareous) soil under broadleaf and mixed woodland or occasionally with pines; often with Ivy (Hedera spp) or Stinging Nettles Urtica dioica; occasionally on grassy roadside verges. Cystolepiota mushrooms are generally considered inedible, and some species in this genus may be toxic.